So what happens when you build me a system? Previous to you arriving on the day you have booked, we will discuss over the phone exactly what you are after and give you any advice and price’s you need. When you arrive we will first look at the tailpipe designs you are interested in and can offer them up to the back of the car to see which suits best, bumpers can be adapted to fit tailpipes on many vehicles. We will also discuss sound levels and can often remove the old system, start the car up and see what it sounds like with no exhaust system, this will give you an idea of the sound the engine produces and how much you want that reduced. The technicians will then start to custom make any silencers needed, these are packed and welded in house, then placed underneath the car on the ramp so that the next stage can be started. 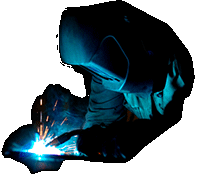 Bending and shaping any pipework to the car, the system maybe off and on the car on several occasions in order to carry out any welding or adjustments. The Techs will often get you out to check the system on several occasions to see where you might want certain parts to sit and importantly how far out and at which angle you want the tip protruding from the bumper. Complete systems usually take anywhere between 2-5 hours to make and often people wait with their cars. But you are more than welcome to leave it with us for the day, or if you can’t collect it that night it will be stored securely overnight in our workshop. 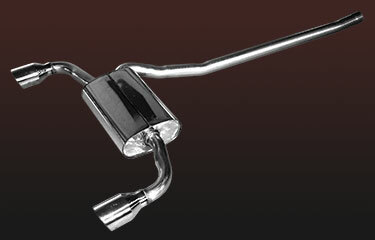 Infinity-Exhausts have been making bespoke custom exhaust systems from stainless steel since 2003. We are not a franchise and have stayed as a single workshop setup to consistently produce excellent quality systems at great prices. Our welders have a combined experience of over 20 years so it’s safe to say they know what they are doing. Everything being made by hand in house we also constantly develop the way we work and do things in order to improve our product. We are well known in the Bristol area and as far as France for producing great products custom built to any vehicle. And used locally by many traders including haulage companies, performance car dealerships, classic car restorers and performance tuners throughout Bristol and Gloucestershire.